Day 2- The Body Shop Christmas Range Review! 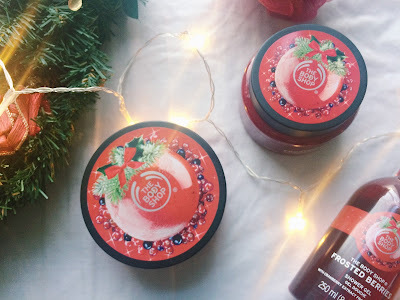 After recently attending a Body Shop party, I persuaded my mum to buy one of their ranges, and since the Frosted Berries scent is my favourite, this was the one we purchased. 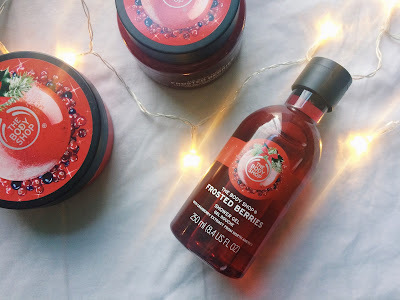 I have had time to try out all the products so I decided to write a review because I have really enjoyed using these products so far! 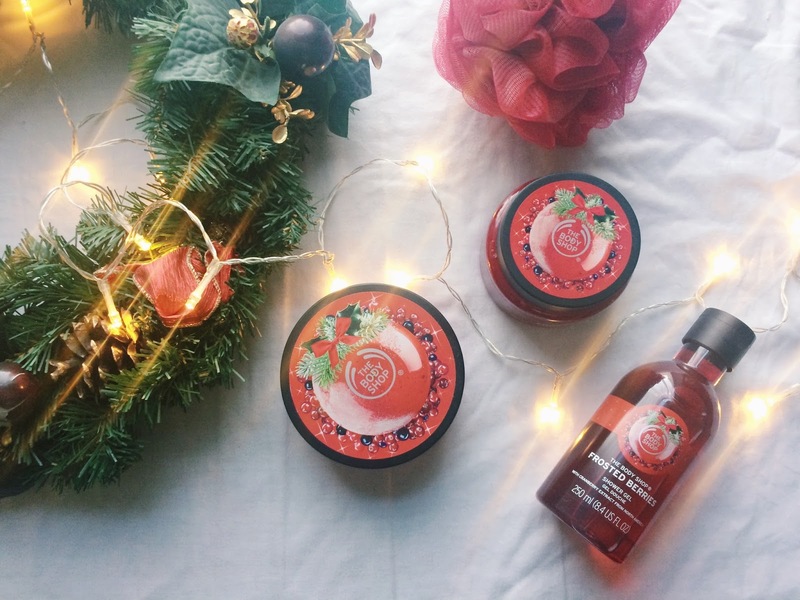 Within the set you receive: a shower gel, a body scrub, a body butter and an exfoliater, which are in the most gorgeous crimson colour which is so suited to the festive season. The packaging is gorgeous, and looks so Christmassy which I loveeeee! There was an offer on at the party so if we spent £30 we got all this for £15. I think this retails at £36 which I think is a really good price considering you get the regular sizes of each product. My favourite thing about this range is of course the smell: it is not one for those who do not like sweeter scents, but for me I think it is the most perfect scent! I love any sort of berry smell no matter what so I knew I would love this before I purchased it. In terms of the products lasting, I bought 2 of the Christmas shower gels last year: Spiced Apple and Frosted Berries and I still have about half left in both bottles and I have used them soooo many times! Day 12- NYX Advent Calendar Review! 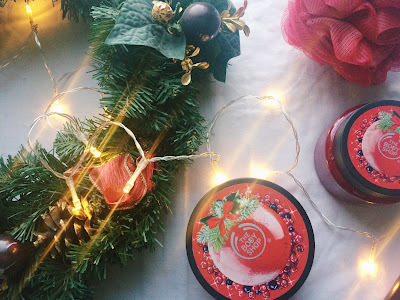 12 Days of Blogmas: My Challenge!